Yes, playing online games is totally time wasting but what fun~! Gamesville is a site where you can play for fun or for money. If you know me, I will go for the free stuff only! And there’s plenty here in Gamesville. The site is very colourful, looks fun and will occupy a lot of time. Don’t say I didn’t warn you, ya! 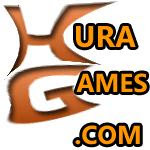 This entry was posted in Games and tagged free game, free games, free online game, free online games, free web game, free web games, play online game, play online games, play web game, play web games on July 3, 2008 by Cyberpartygal.